Collated by Village of Joy. Full set is here (lots of Star Wars folding though). 1. 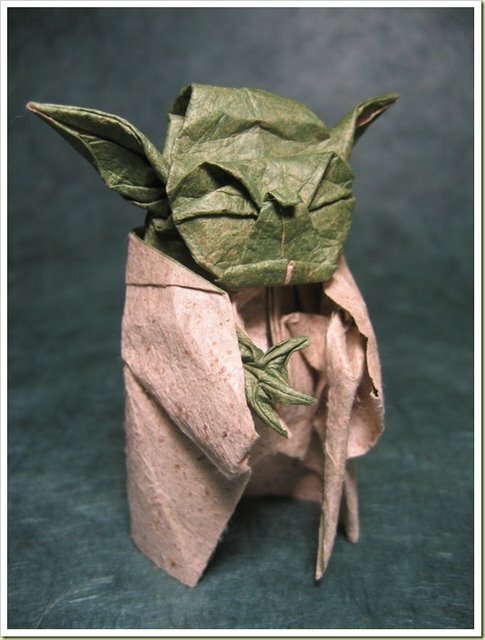 Yoda (Image PhillipWest) Designed by Fumiaki Kawahata. 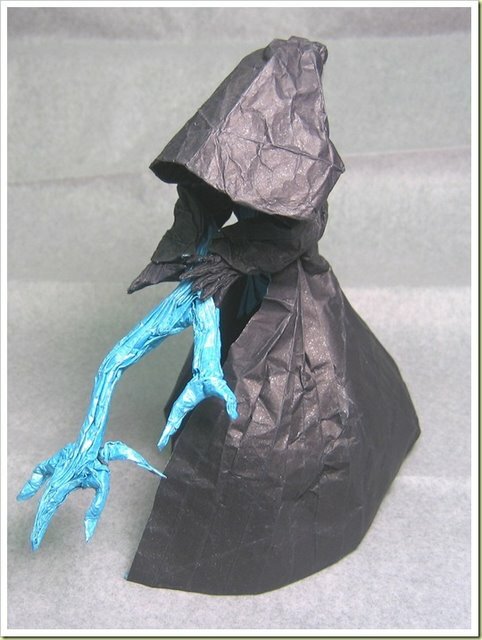 Folded by Phillip West from Lokta sandpaper paper back coated to tissue paper. 2. The Emperor with Force Lightning (Image PhillipWest) Modified from Satoshi Kamiya’s Wizard. 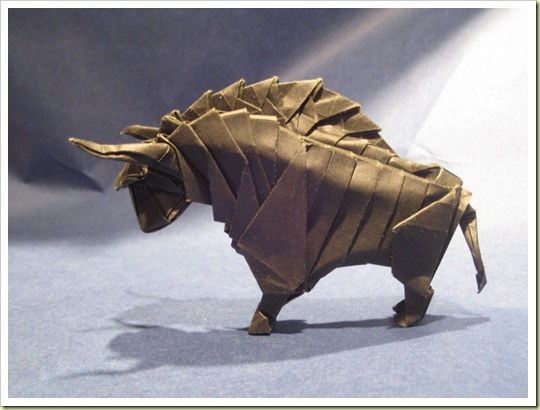 Folded by Phillip West. 3. 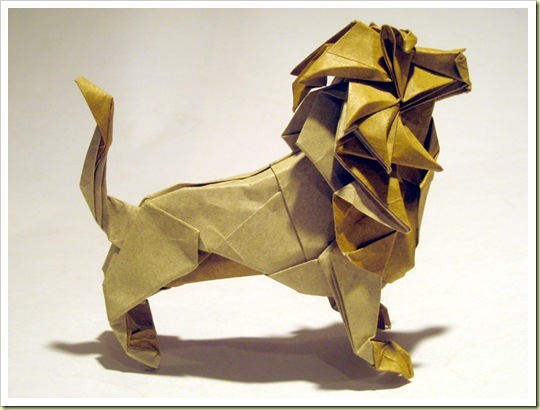 Lion (Image Joseph Wu Origami) One sheet design. Based on “Babe the Blue Ox”. 4. 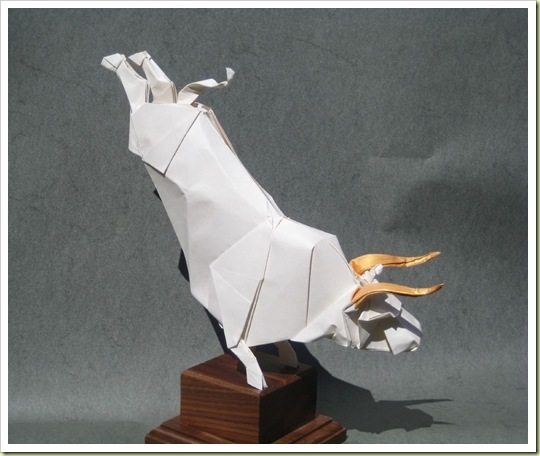 The White Bull of Heaven (Image Joseph Wu Origami) Folded from brand new supply of high white elephant hide, the gold horns are colour changed from the underside which was coloured with gold ink. 5. 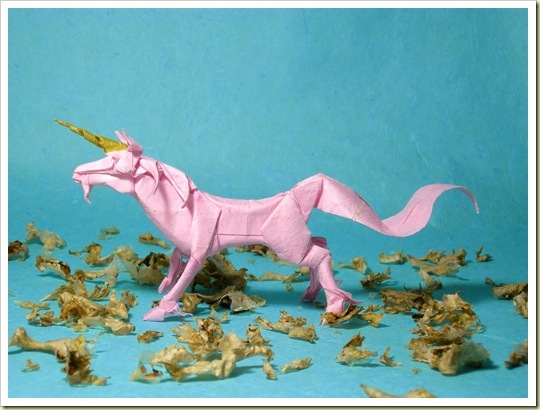 Unicorn (Image kekremsi) Designed by Satoshi Kamiya. Folded from 35*35 cm handmade paper, back-coated with golden tissue at only colour changing part. 6. 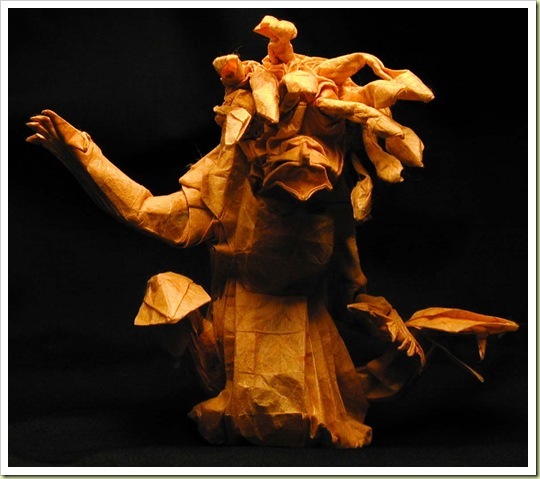 Medusa (Image origamiwolf) Folded from one uncut square of Thai Saa. 9. 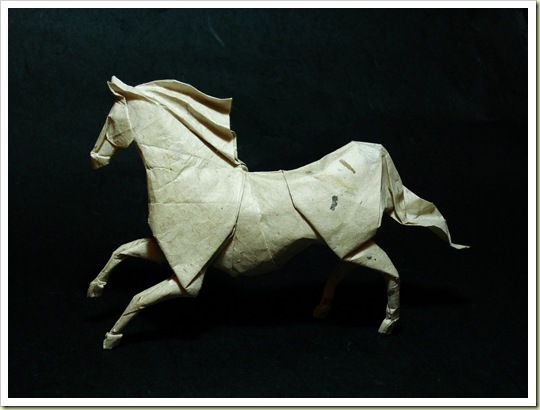 Horse (Image kekremsi) Designed by Roman Diaz. Folded from 40*40 cm mc treated handmade paper. 10. 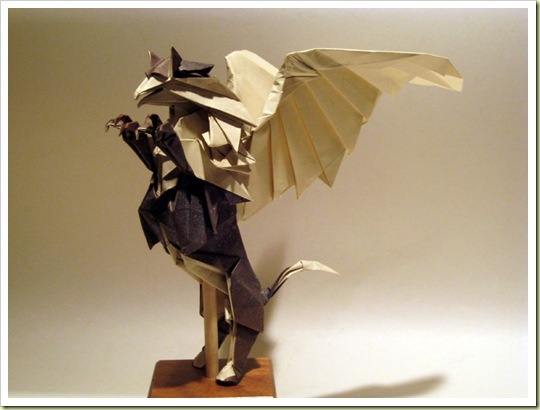 Gryphon (Image Joseph Wu Origami) Two-piece design. Body based on “Babe the Blue Ox” with added wings. 11. 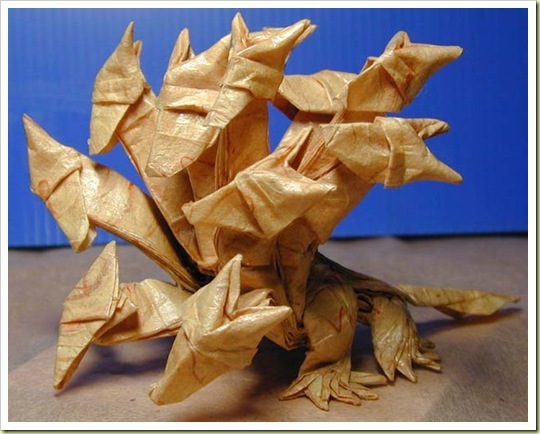 Twelve-Headed Hydra (Image origamiwolf) One square, no cuts, MC-folded Saa. 12. 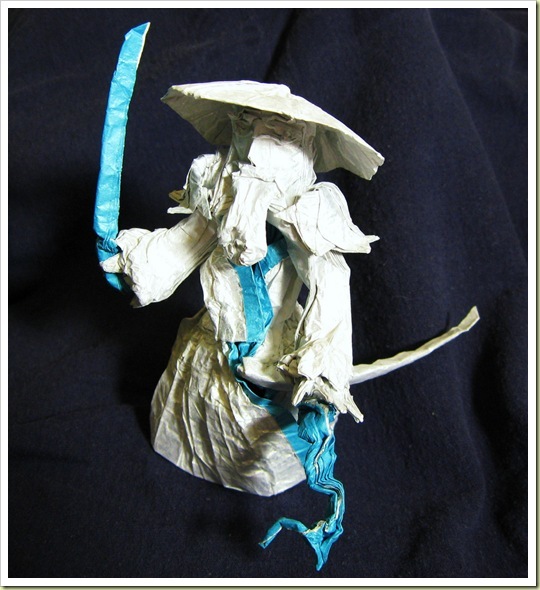 Raiden (Image J0nB0n) Designed by J0nB0n. 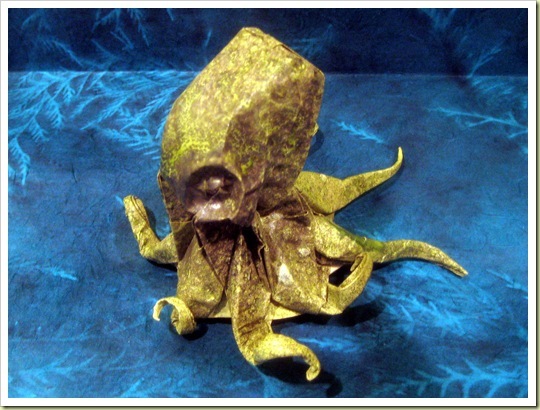 Folded from a 17″ square of tissue foil. 13. 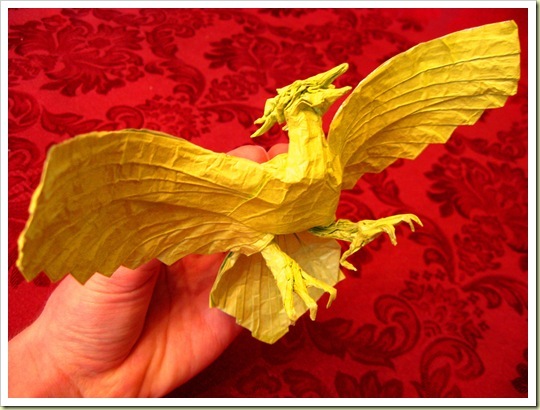 Phoenix (Image J0nB0n) Designed by J0nB0n. 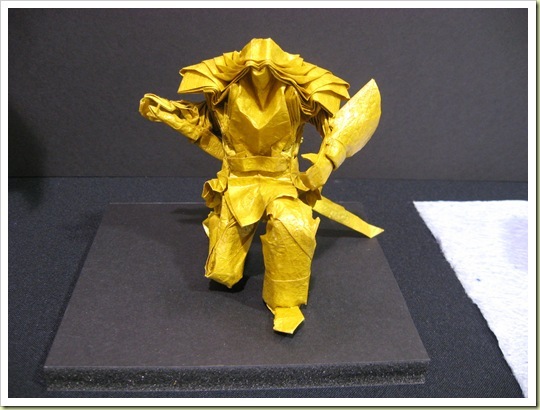 Folded from a 17″ square of tissue foil.